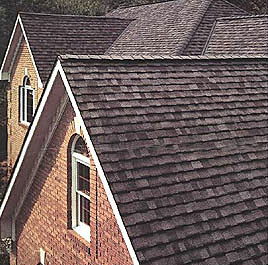 Your roof and the related roof flashings are probably the most important components of your house. They protect everything else below them. O'Connors Residential Repair offers expert roofing repairs and reroofing on all types of flat and steep roofs. O'Connors Residential Repair employees have many years of roofing experience and are experts in investigating problems, designing solutions and providing quality installations on residential roofs. 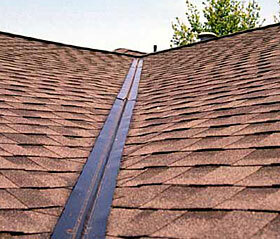 Finding roof leaks can be the most difficult part of the roof repair. Roof leaks can originate from the opposite side of the building and travel underneath all layers of roofing and not show any damage in between. Did you know that windows, gutters, siding, doors, improper ventilation and chimneys can cause your roof to leak and is most often blamed on the roof? Our thorough understanding of building construction helps us determine and pinpoint the exact origin of even the most difficult to locate roof leaks. A majority of roof replacements are done prematurely because of leaks and do not solve the leak problem. O'Connors Residential Repair has 50+ years experience at finding and fixing the most difficult to locate roof leaks. No matter how big or small your problem, O'Connors Residential Repair has the knowledge and experience to solve all your roof leak problems. Contact us today. You will glad you did!